From buying your first home to constructing a new house, acquiring land, or renovating your home, a Home Loan can fulfill all your financial needs. All the salaried, professionals or self-employed individuals can easily make a Home Loan application and avail the benefits. An individual can opt for a Home Loan to manage his/her financial requirements in a better way, as they can get a loan amount up to Rs.10 crore with flexible repayment option and quick disbursal. 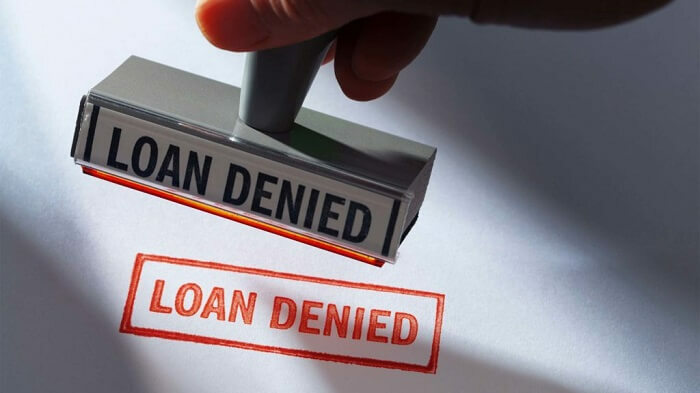 Here are few reasons that result in the rejection of your Home Loan application, and they must be paid attention at the time of application. A low credit score is one of the reasons that can cause your Home Loan application getting rejected. Your credit score is dependent on your repayment histories like your credit card bill payment or payment of an already existing or any past EMIs. Before granting the loan, the lenders do a background check regarding your income and your ability to repay the loan. If you are found to be a defaulter, who cannot repay the loan, your loan application may get rejected. If the necessary documents and papers asked by the lender are found to be incomplete or incorrect, your Home Loan application will get rejected. To avoid such circumstances, you can make a checklist of the documents required for Home Loan. If the applicant is already has a loan over his head to repay, the lender may deny giving the new loan. A new loan will be a financial burden on the applicant and may cause inability to repay. If you are considering your partner’s income for loan repayment, it’s better to make him/her the co-applicant to make the lender aware of the joint income. Any loan process has a set of terms and conditions that are necessary to be met by the applicant. The loan application may get rejected due to a conflict with the terms and conditions of the loan. So, read all the terms and conditions of the loan document thoroughly. To get the Home Loan at ease, you must check the required documents and use various loan calculators like Home Loan EMI calculator, Eligibility calculator, and Foreclosure calculator. These calculators will help in estimating your EMIs, your eligibility for the loan and foreclosure charges. For a businessman or self-employed individual, a document for proof of business, of minimum 5 years is necessary. Now that you know the reasons for a Home Loan application rejection try and avoid making any mistakes at the time of approach. Make a checklist of all the documents required and use the Home Loan calculator before applying for the loan.